If you sign up to the Newcastle Malmaison newsletter you will be the first to hear about exciting special offers. After enjoying the party of the century at the launch of their new bar in April I couldn't wait to see what the rest of the Mal had to offer. So when a special 'Eat, Sleep, Drink' offer popped into my inbox, I promptly booked up. 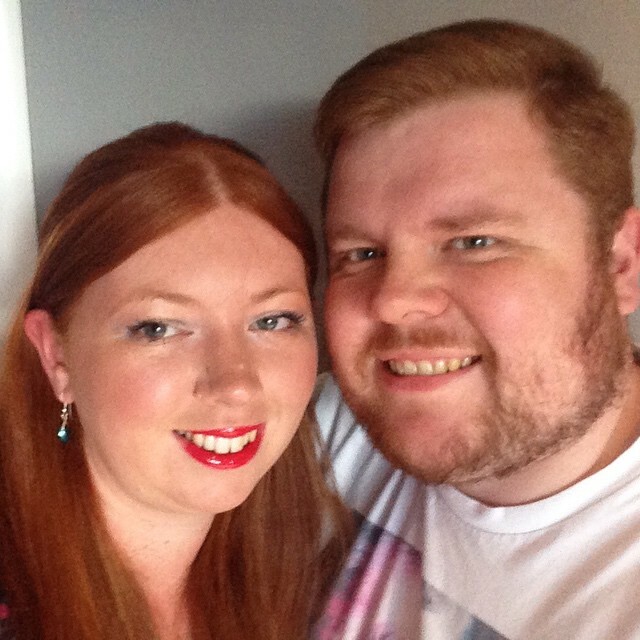 £105 for an overnight stay, 3 course meal and cocktail for two seemed like a huge bargain to me! 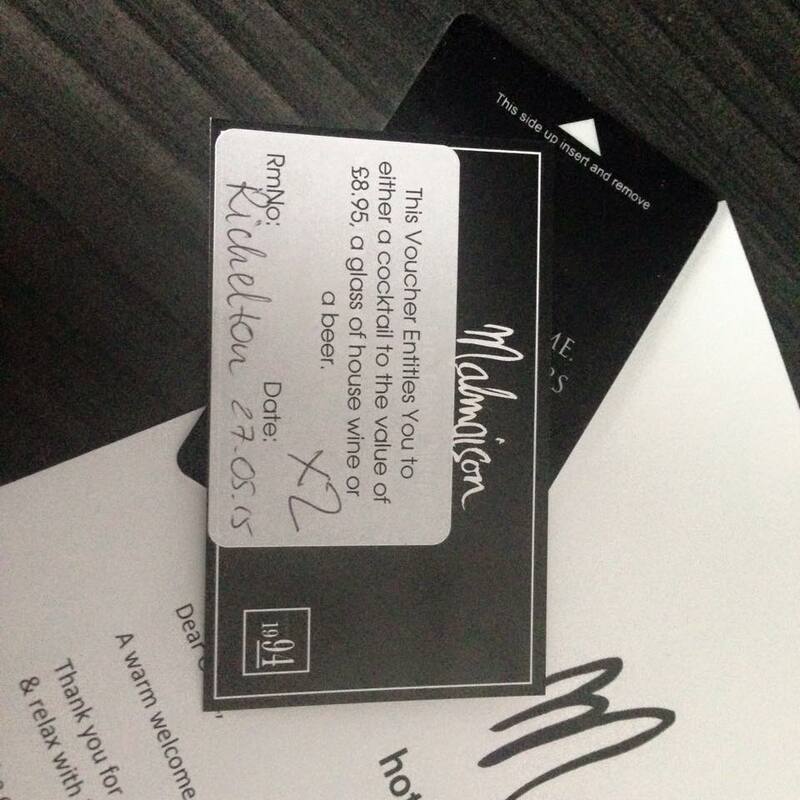 I used the Malmaison gift voucher in our goody bag to part-pay for the evening. Check in was efficient (although be prepared to pay on arrival) and you can validate your parking if you park in the designated spots situated in the multi-story carpark behind the hotel. I did find it strange that you can pay £4 per day to park in this car park yourself or £10 (in total) if you pay via the malmaison? Not sure if this is perhaps the best deal so when we visit again we will park elsewhere. Our room was spacious, modern and spotlessly clean with plush beds, an enticing mini-bar and toiletries you can take home. Top tip - If you have a budget to consider, pack your own wine and snacks as you will be tempted to raid the mini bar! The view from our room across Newcastle Quayside was gorgeous and it was nice to be able to spend a few hours getting ready before heading down to the brasserie. Our table was booked for 8pm. We were seated at a lovely spot overlooking the Millenium bridge (it is worth asking for a table with a view when you book). In our deal we could order 3 courses plus a side from the 'Summer of Mal' menu or order from the a la carte menu with a £25 allowance and pay the difference. We both opted to order from the Summer of Mal menu. We had heard mixed reviews about the brasserie but have to say we loved everything about our evening. The menu offered something a little different (I had never tried sea bass ceviche before but loved the fresh flavours) and our food was clearly prepared using high quality ingredients. The service was flawless throughout and we were made to feel special with staff pouring our wine and pulling our chair for us. The atmosphere is classy yet relaxed and I would not hesitate to return with my children for a special occasion. A whole three courses plus a side and a bottle of wine left us feeling a little indulged so rather than heading out into town we popped next door to the Chez Mal bar to claim our free cocktail. The Chez Mal malchemy menu is extensive and it was rather difficult deciding what to order. In the end we went for a 'painkiller' and 'penicillin' which were both rather on the strong side but enjoyable all the same and a lovely nightcap to end our evening. We retired to our bedroom where we were looking forward to a lie in and a late check out in the morning! 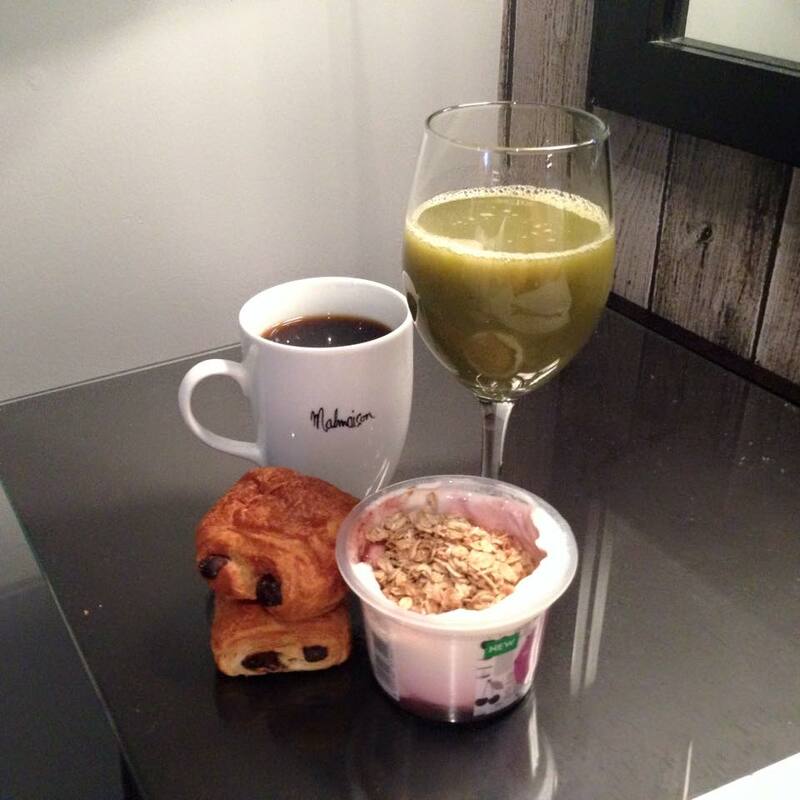 There is an option to order a continental breakfast in bed for £14 per person which for me seems on the pricey side. We were prepared and headed to waitrose beforehand to stock up for less than £3 per head. I am sure breakfast in bed is a lovely treat however the price is something to consider. I am pretty sure you will agree our night #chezmal was superb value for money. £105 for a delicious three course meal, fantastic cocktail and overnight stay is just amazing. I would not hesitate to book the eat, drink, sleep package again or recommend it to anyone looking for a night away with their partner. Absolutely bonkers about the car park! Your stay looks gorgeous ... I'm always eyeing up the deals when my e-mail pops through so one day I really should take advantage, they do have amazing offers. I quite fancy an extra special stay in one of the suites too! The deals are really good - we will definitely stay again. Just as cheap as two taxis, meal and drinks really! That looks like such a treat. Glad you had a good time.